Here some answers to frequently asked questions. If you cannot find what you are looking for, start a web chat. We are here to answer any questions you may have. What insurance products can I sell through Quodex? Quodex is designed for a wide range of products from simple unrated ones to ones with complex rating matrices and underwriting lookups. The system contains built in rating tables but also can link via APIs to external rating engines. Unlike other insurance software platform providers, Quodex claims no right of ownership over any clients or client data. Quodex is merely a data processor acting on behalf of a data controller. Ownership of all clients and client data rests with the data controller, usually the broker or the insurer. Yes, we take data protection extremely seriously. We never pass data to any third parties without the data controllers permission. Such permission is usually sought for matters such as claims management, borderaux production and so on. We do not sell data or abuse the data subjects trust in anyway. What's the difference between SaaS or On premise? Software as a Service (SaaS) is a method of software delivery by licensing in which software is accessed online via a subscription, rather than bought and installed on individual computers known as on premise. Can I login from anywhere in the world? Yes, but we add additional security when you are not at your usual place of work. Being a Software as a Service provider in the financial services market, we take security extremely seriously. For example, when logging in we provide two factor authentication when accessing the system from a unrecognised IP address. 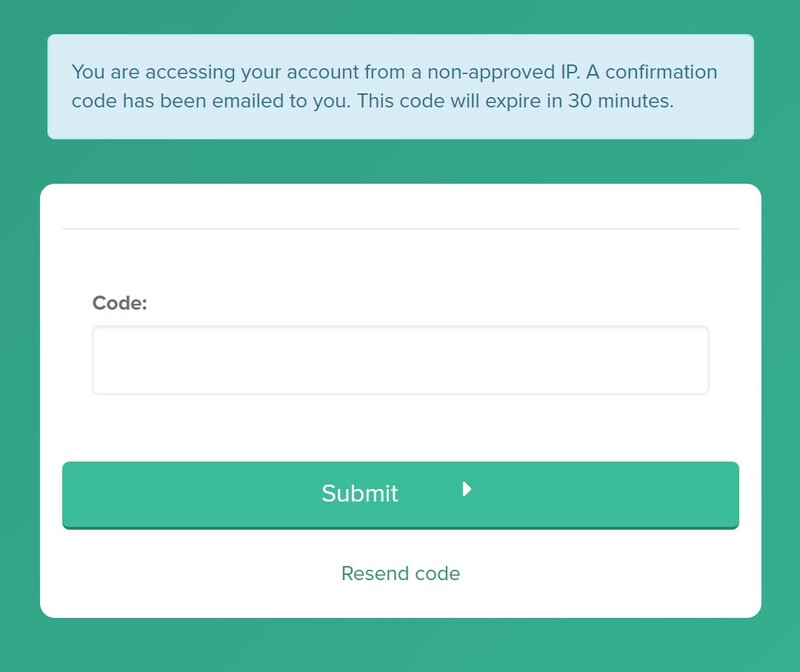 A code will be emailed to the registered user which needs to be inserted and submitted to allow access. If users frequently login from a specific IP address this can be added to the IP whitelist allowing easy access.